Scientists at the University of York have harnessed the therapeutic effects of carbon monoxide-releasing molecules to develop a new antibiotic which could be used to treat the sexually transmitted infection gonorrhoea. The infection, which is caused by the bacteria Neisseria gonorrhoeae, has developed a highly drug-resistant strain in recent years with new cases reported in the north of England and Japan. There are concerns that gonorrhoea, which is the second most common sexually transmitted infection in England, is becoming untreatable. Almost 35,000 cases were reported in England during 2014, with most cases affecting young men and women under the age of 25. The interdisciplinary team, from the University of York's Departments of Biology and Chemistry, targeted the "engine room" of the bacteria using carbon monoxide-releasing molecules (CO-RMs). CO is produced naturally in the body, but there is increasing evidence that carbon monoxide enhances antibiotic action with huge potential for treating bacterial infections. The scientists found that Neisseria gonorrhoeae is more sensitive to CO-based toxicity than other model bacterial pathogens, and may serve as a viable candidate for antimicrobial therapy using CO-RMs. The CO molecule works by binding to the bacteria, preventing them from producing energy. Scientists believe the breakthrough, published in the journal MedChemComm, could pave the way for new treatments. Professor Ian Fairlamb, from the University's Department of Chemistry, said: "The carbon monoxide molecule targets the engine room, stopping the bacteria from respiring. 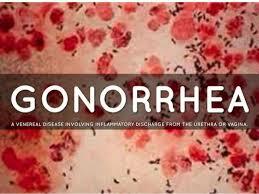 Gonorrhoea only has one enzyme that needs inhibiting and then it can't respire oxygen and it dies. "People will be well aware that CO is a toxic molecule but that is at high concentrations. Here we are using very low concentrations which we know the bacteria are sensitive to. "We are looking at a molecule that can be released in a safe and controlled way to where it is needed." The team said the next stage is to develop a drug, either in the form of a pill or cream, so that the fundamental research findings can be translated on to future clinical trials. Professor Fairlamb added: "We think our study is an important breakthrough. It isn't the final drug yet but it is pretty close to it. People might perceive gonorrhoea as a trivial bacterial infection, but the disease is becoming more dangerous and resistant to antibiotics." He added: "Antimicrobial resistance is a massive global problem which isn't going away. We need to use many different approaches, and the development of new drugs using bioinorganic chemistry which is one crucial way we can tackle this problem, to control important bacterial pathogens before the current therapies stop working."